Whether you're trying to impress a first date or honor a time-tested love, treat your sweetheart to a romantic dinner in. Treat your loved one (or yourself!) 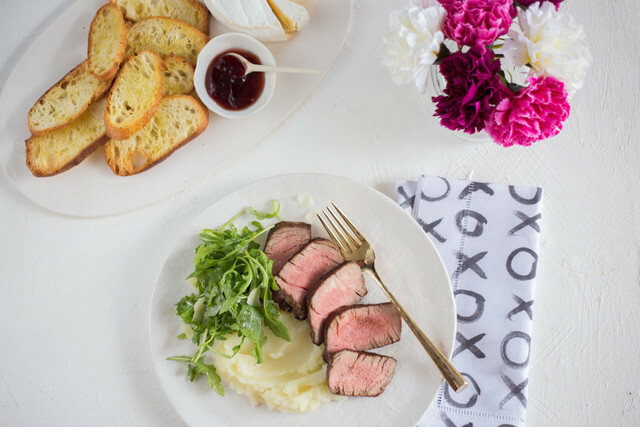 this Valentine's Day with a Date Night bundle meal kit, delivered right to your door! Who needs bustling restaurants or reservation hassles? A romantic dinner in is relaxing and stress-free, and cooking together is a fun experience you'll both enjoy just as much as the delicious food you prepare! Better yet - all of the ingredients and recipes you'll need are delivered right to your door, so there's no guesswork or last-minute shopping. That means more time and energy for BAE, whether it's for Valentine's Day or simply "just because"! You can order your Date Night kit now through Sunday, February 10th, and you can choose to have it delivered the week of February 3rd or February 11th! There are two different 3-course menus to choose from, each beginning with a delightful cheese course and finishing with decadent chocolate cake. Rich and creamy Green Hill cheese, coming from Sweet Grass Dairy of Thomasville, GA, pairs happily with elderberry jam, which is made by Fairywood Thicket Farm from berries harvested from their land in Fairburn, GA. 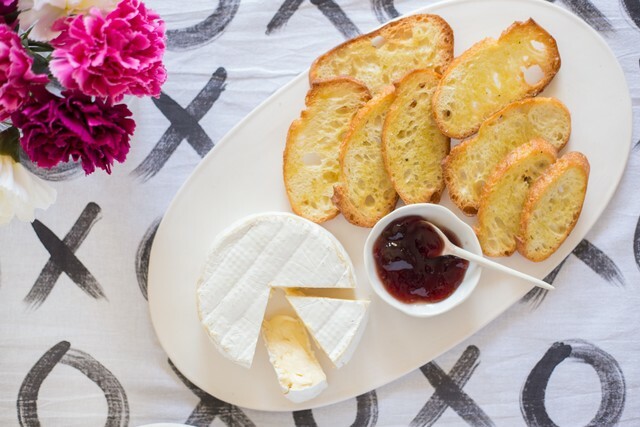 The baguette, baked by Atlanta's own H&F Bread Co, is sliced and toasted until crisp and satisfying; a perfect vehicle for your cheese and jam spread. Cozy up to your sweetheart with this vegetarian take on classic stroganoff. Earthy mushrooms and rich egg noodles bathe in a tangy sour cream sauce, while poppy seeds spark the palate with every forkful. This recipe is quick and simple, approachable enough for even the most novice cook to prepare a dish that's impressive and tasty. In the words of author Alan Wolfelt, "Food is symbolic of love when words are inadequate." With this perfectly marbled, properly aged, Georgia Grown filet mignon, velvety mashed potatoes, and a crisp green salad, there’s no reason why Date Night has to be at the steakhouse this year. Dinner is capped off with the essential for any romantic date: chocolate! 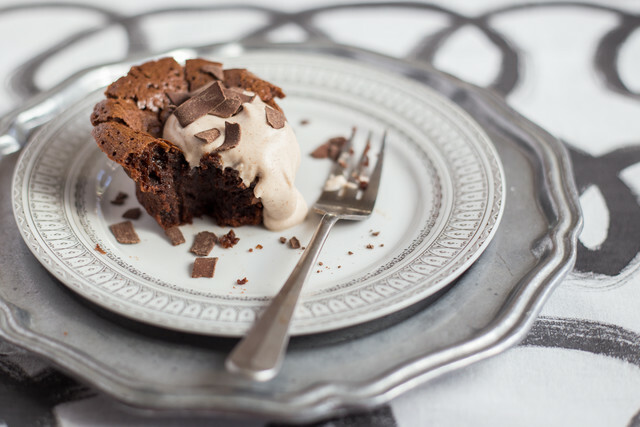 Kathleen McDaniel, an Atlanta pastry chef, lends her recipe for flourless chocolate cake, which is paired with a cinnamon-spiced whipped cream that enhances its velvety and decadent flavor. Because it's flourless, your cake is richer and more tantalizing (and also free of gluten!). In order to make the whipped cream, you'll each shake your own jar of heavy cream until it's light and whipped - a experience sure to leave you both giggling. Looking for more? Check the Market! For the sweet tooth - a variety of artisan chocolates, brownies, caramels and pound cake! When your dog is BAE - The certified organic, tasty treat he or she deserves! Cheers to Love & Good Food Experiences, Y'all!